Like so many brilliant artists, Kealoha is incredibly intelligent and has many eclectic areas of interest. He earned a degree in nuclear physics from MIT in 1999 and began work in nuclear fusion research. Before shifting into his current career as a slam poet in 2002, he worked in multiple fields, from business consulting to teaching surfing. 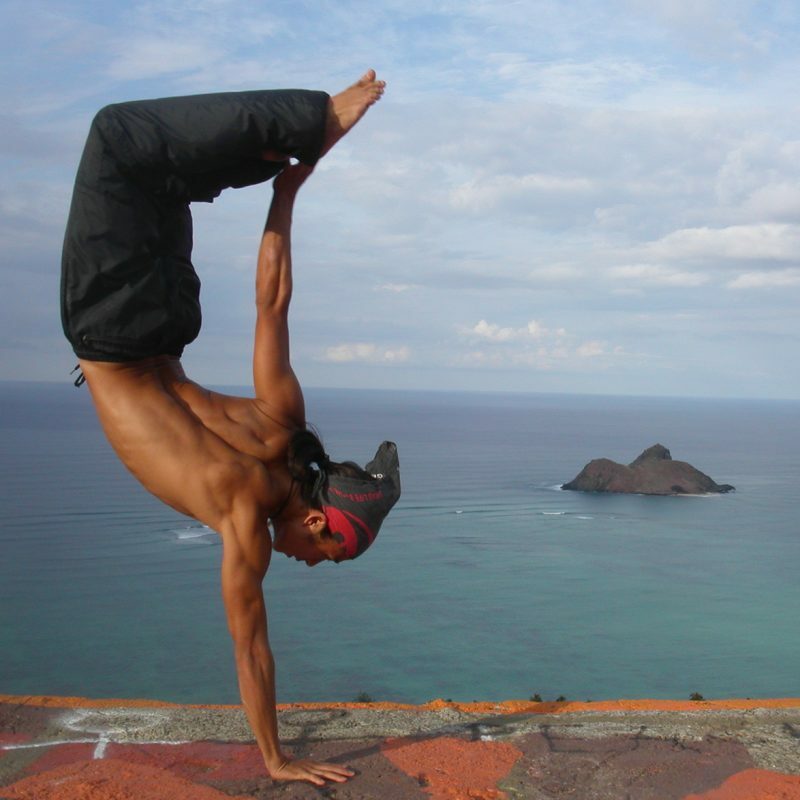 Of Hawaiian, Chinese, and Caucasian descent, Kealoha’s Indigenous identity helps inform his performances. Kealoha’s poetry often tackles issues of social significance and deals in philosophical themes. One of his most famous pieces, Dichotomy, is used in Hawaiian classrooms to initiate discussions of Hawaiian identity. His strong science background comes through in his creative and eclectic approach to difficult topics. His pieces reach further thanks to his willingness to address dense themes in unconventional ways – using disco to explain the history of the universe, or recess to criticize monotony. In addition to his own performance career, Kealoha is the founder of Youth Speaks Hawai’i, a program that engages youth in social issues through spoken word, and has conducted hundreds of workshops in schools, libraries, and prisons. Hawaii’s first Poet Laureate, Kealoha has performed all over the world, including at the White House and for the inauguration of Hawaii governor Neil Abercrombie. He was named a National Slam Legend by the National Poetry Slam, been a feature performer at various storytelling festivals, and was chosen by America’s National Endowment for the Arts as a master artist. 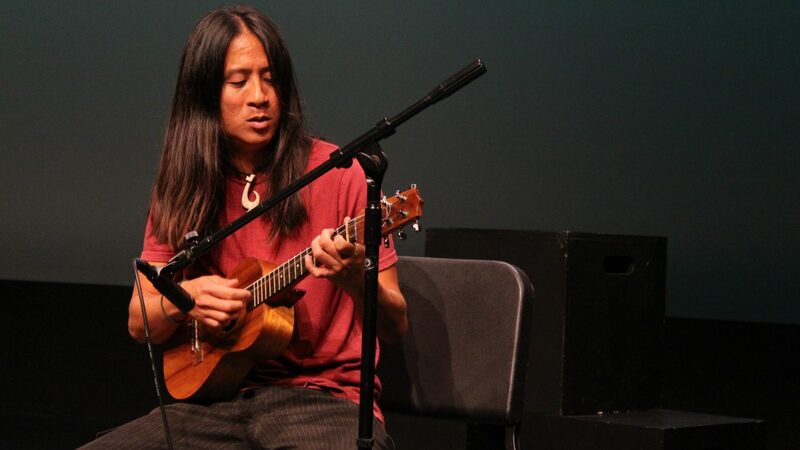 Kealoha premiered his full-length multi-media production, The Story of Everything, in 2015. The show uses visual art, movement, music, and of course poetry to trace humanity’s origins from the big band to present day. Based in Honolulu, Kealoha continues to perform locally at HawaiiSlam’s First Thursdays each month, and still makes time to visit schools and engage with Hawaii’s youth. In addition to performing as a slam poet and storyteller, Kealoha is available for work as an emcee. He has also worked as an actor, appearing in the 2011 Hawaiian comedy Get a Job. For me the process has always been trying to live as rich a life as possible, to observe my environment and people as well as my internal workings. Kealoha performs at the Telus Studio Theatre at the Chan Centre on Wednesday October 3, 2018 at 7:30m.